Enjoy the total Paris experience! 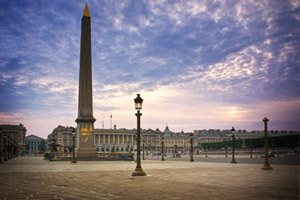 We will pick you up for a remarkable 2 hour tour commented by your driver-guide through the city to see the eternal highlights of Paris: Eiffel Tower & Trocadéro (photo stop), the Opera house, Notre-Dame (photo stop), Concorde Square, Vendôme Square, the Louvre, the Seine River banks, the Invalides, Madeleine church. After the tour you will have a lunch at the Eiffel Tower, and finish the excursion with a cruise on the seine river. Included in this All-inclusive tour : Best of Paris tour + Fast access ticket for your lunch at the " Tour Eiffel 58 " located on first floor of the Eiffel Tower + ticket for the river cruise. Possibility after lunch to proceed to the upper floors of the tower without waiting in line! + ticket for the cruise. This tour ends at the boat, just nearby the Eiffel Tower. RETURN = No return to your accommodation after the tour.